Get excited, jewelry lovers: we've got a couple of unusual sightings from this evening's dinner at Charlottenburg Palace in Berlin. 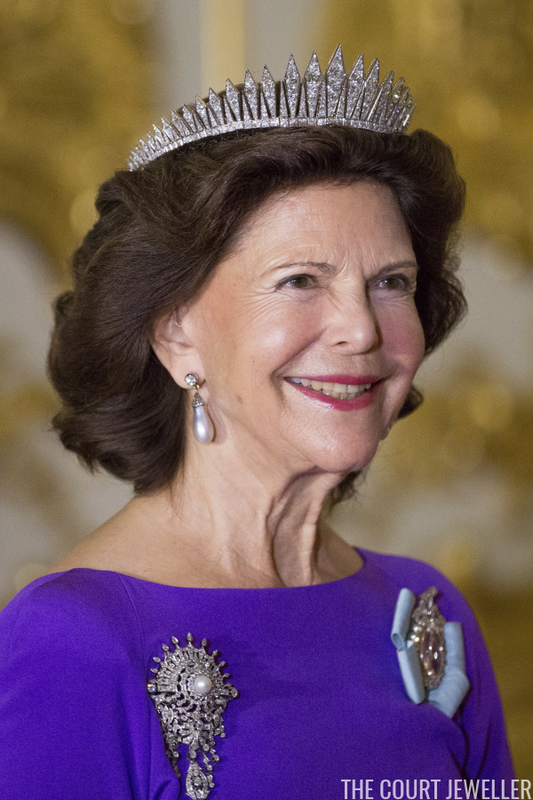 Queen Silvia of Sweden, who is on a visit with King Carl XVI Gustaf to Germany, paid tribute to one of Sweden's other German-born queens: Victoria of Baden. 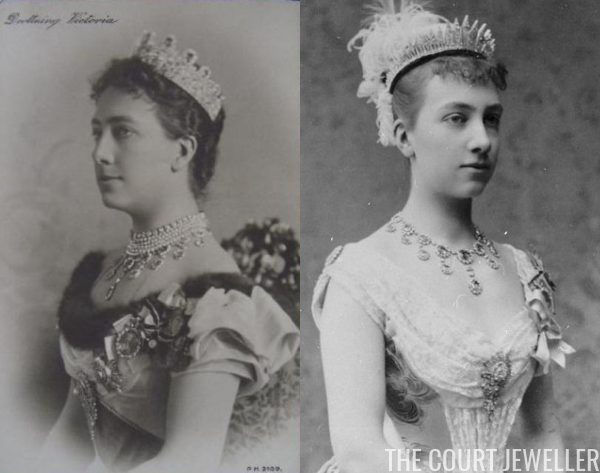 You'll likely recognize the tiara very quickly: it's the Baden Fringe Tiara. 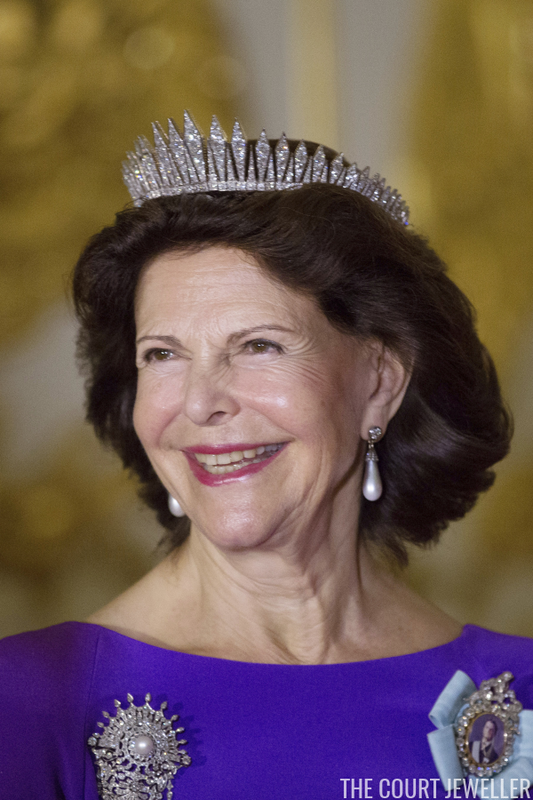 We see this one fairly regularly these days, but Queen Silvia rarely wears it anymore -- it's usually Crown Princess Victoria who trots this one out. Even more exciting though? THAT BROOCH. 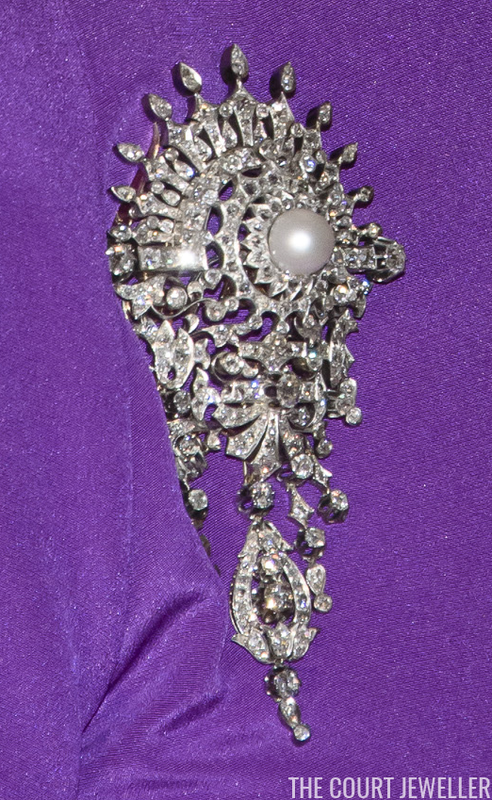 Like the tiara, this piece belonged to Victoria of Baden. 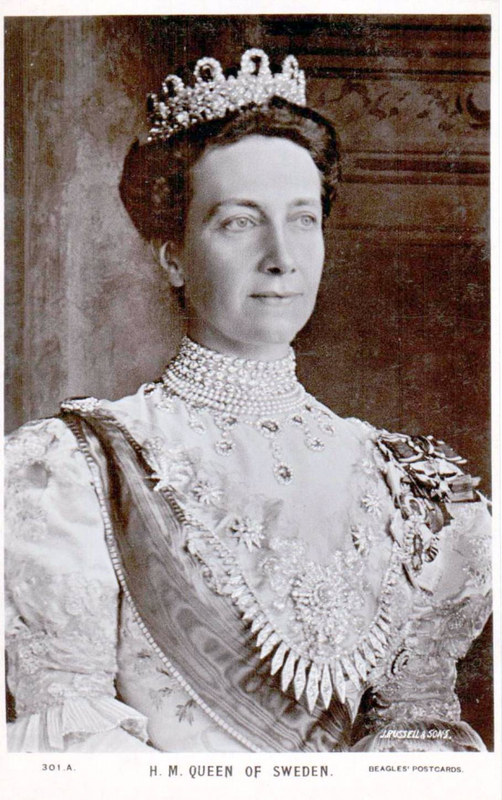 In the picture above, you can see the brooch pinned to Victoria of Baden's dress -- in this case, just above the Baden Fringe, which she's wearing as a corsage ornament. Victoria's also wearing the brooch in each of the portraits above. Please correct me if I'm wrong -- but isn't this the first time we've seen Silvia wear this brooch in public?